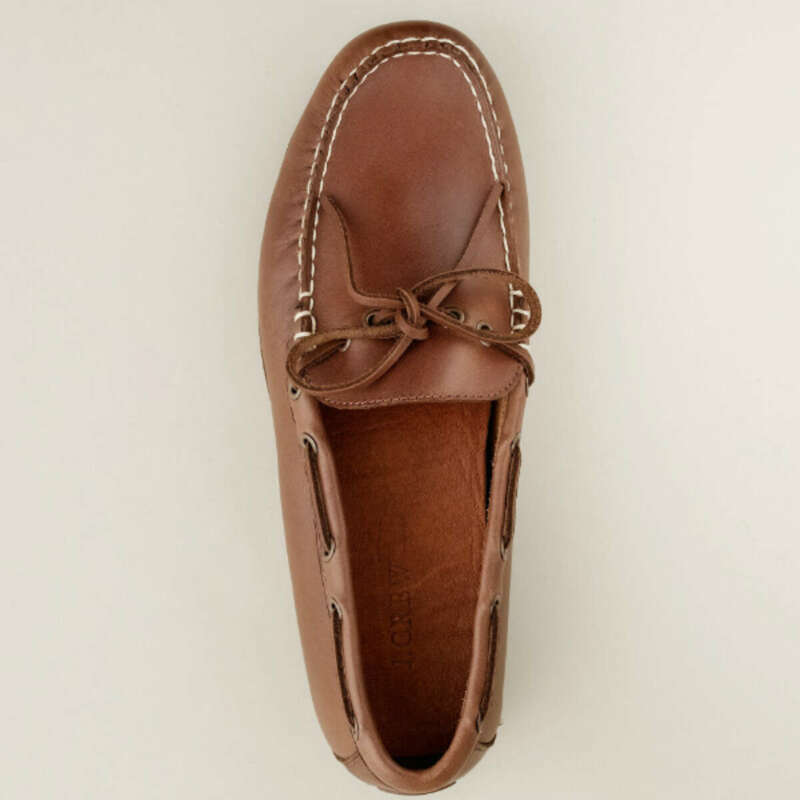 In the canon of classic mens clothing, which is largely European and Anglocentric, there are few items more uniquely American in their appeal than the moccasin. A relatively simple construction often made from a single piece of sueded leather it has managed to to become a cultural signifier of a particularly American vision of the outdoors, of the older, wilder country it was and of the people who used to freely roam its plains and valleys. 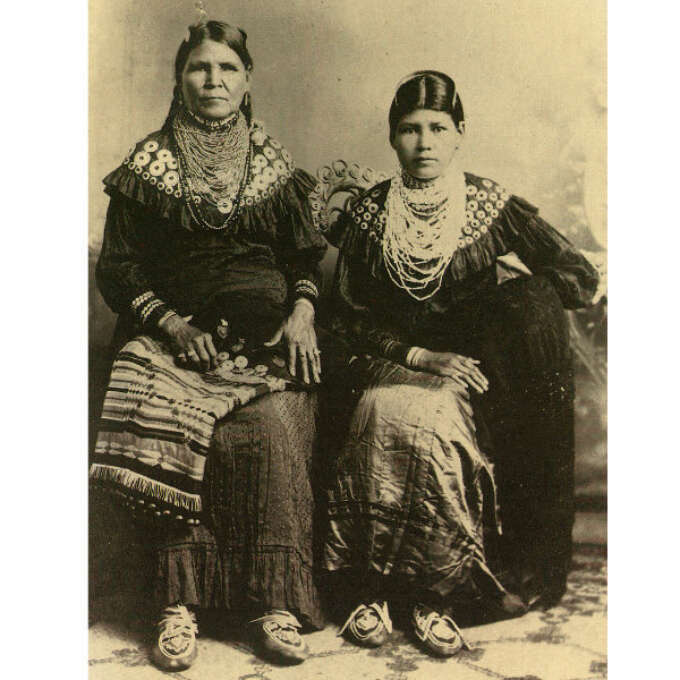 Two Lenape women in traditional dress with their highly ornate moccasins. It was also one of the few items that transcended the enormous variety in language, culture and climate between the tribes of the American continent. Moccasin is essentially a catch all term for similarly constructed shoes which ranged from the soft elk-hide slippers of the Eastern tribes who would use them to pad through forest paths to the tough bison hide soles of those who travelled the plains and deserts of the interior and even the lightweight sealskin mukluk boots of the Inuit of the extreme north. 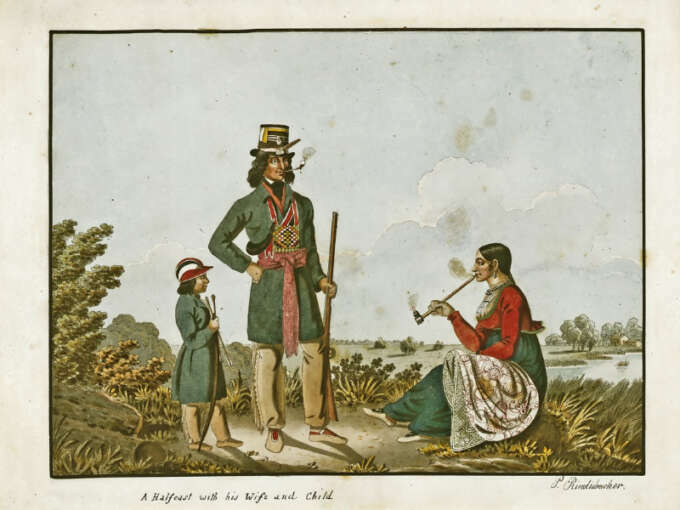 The fusion of European and Native influences is clear in the evolution of the Moccasin from early on, as seen in this image of a Metis (Descendants of natives and French settlers) family from the early 1800s. 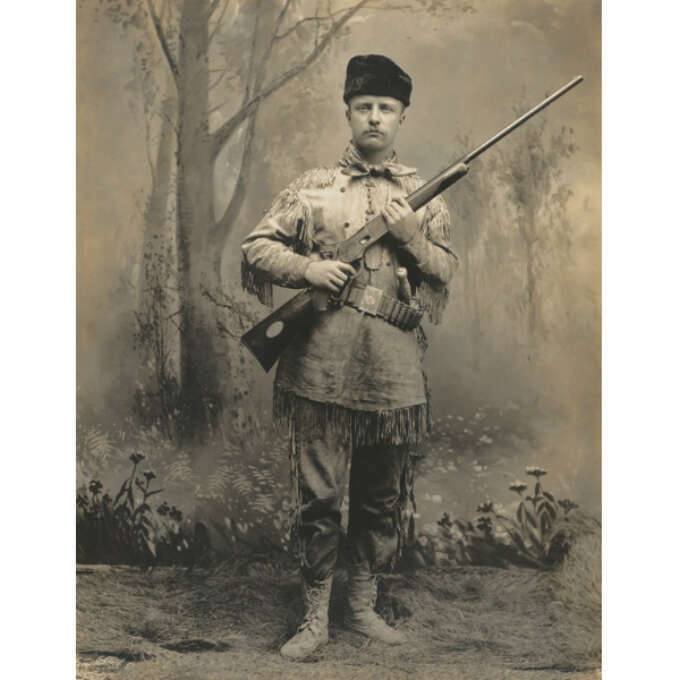 Future president Theodore Roosevelt pictured in 1885 during his time as a rancher in idealised hunting attire including buckskins and moccasin boots. This engagement between the pioneering European woodsmen and the Native Americans created an enduring archetype of the intrepid and self reliant explorer, clad in buckskins with a pack slung over his back and and moccasins on his feet as he headed out into the unforgiving wilderness. This imagery was key to the moccasins appeal, especially as the way of life of the tribes that created them were rapidly being destroyed and the bison that provided much of their leather brought to the edge of extinction. 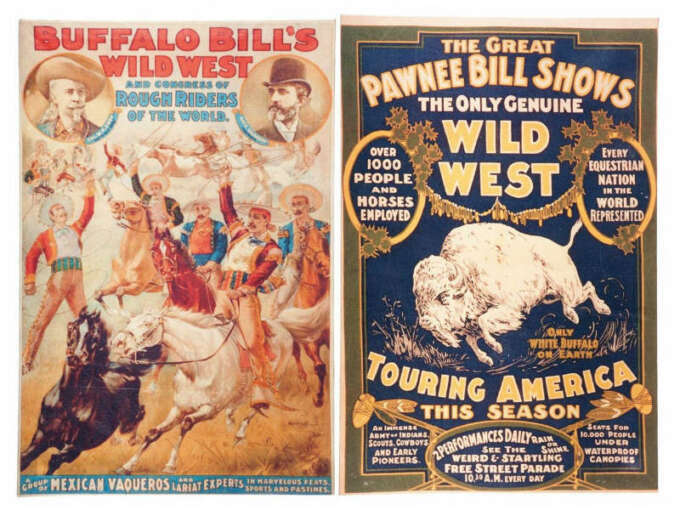 This nostalgia reached its peak in the late 19th century with Buffalo Bill’s wild west show, a hugely popular carnival style attraction that traded on tales of the “old west” for millions of visitors, even touring throughout European capitals where the dress of the riders was much remarked upon. 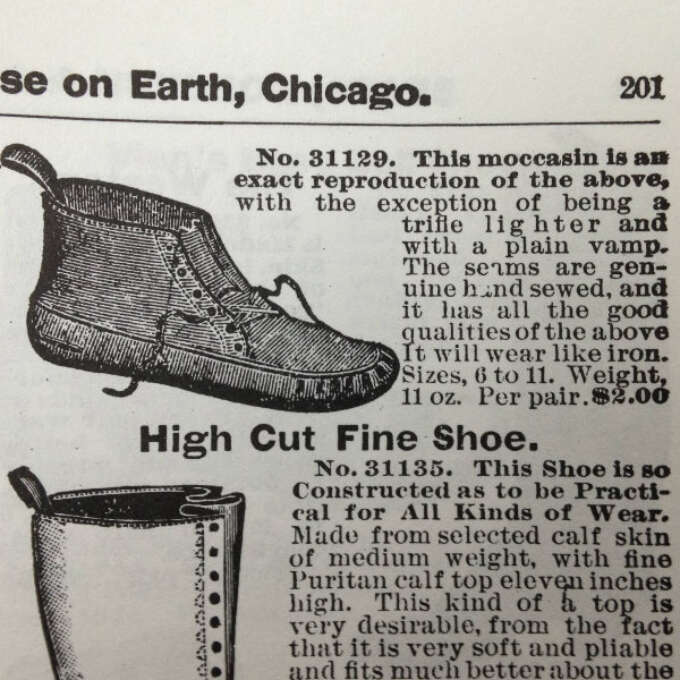 An 1897 Sears and Roebuck catalogue displays an ad for moccasins, hand stitched and made with genuine indian tanned leather. While the moccasin seems to have never truly gone away in America it has been through several evolutions. The modern moccasin shoe is often a hybrid of Native american constructions and traditional shoemaking techniques and made with cows hide generally rather than the supple elk or bison leather. 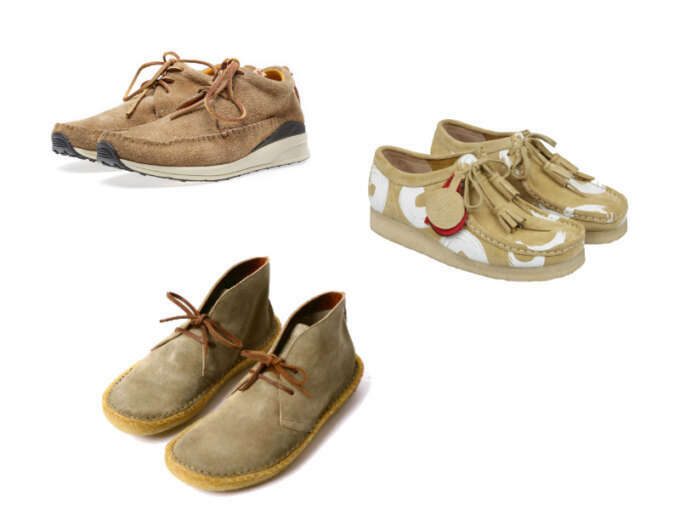 Notable variations include the preppy-friendly camp moccasin, created by L.L. 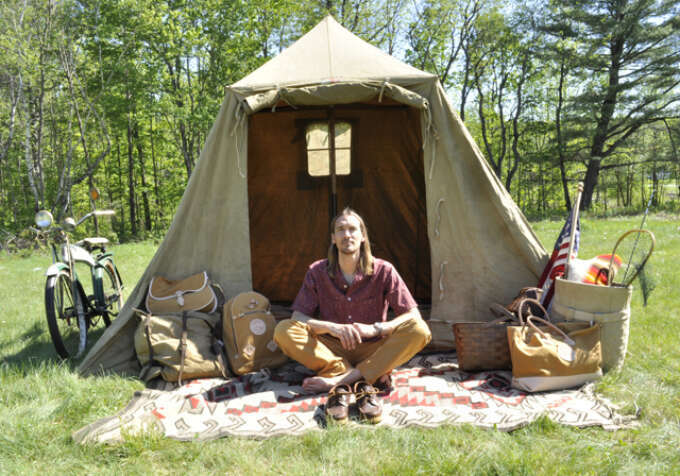 Bean and popular with new-England holiday makers from the 30s onward,the 1960s counterculture embraced styles like Quoddy’s excellent ring boot and what is the 1980s preppy favourite the boat shoe except a moccasin with rubber base? Recent years have also seen oxford styled moccasins and mukluk derived hunting boots find popularity. The best of these are made in small workshops in New England by brands like Quoddy,Rancourt and Co., New England Outerwear, Arrow Moccasin and Yuketan. 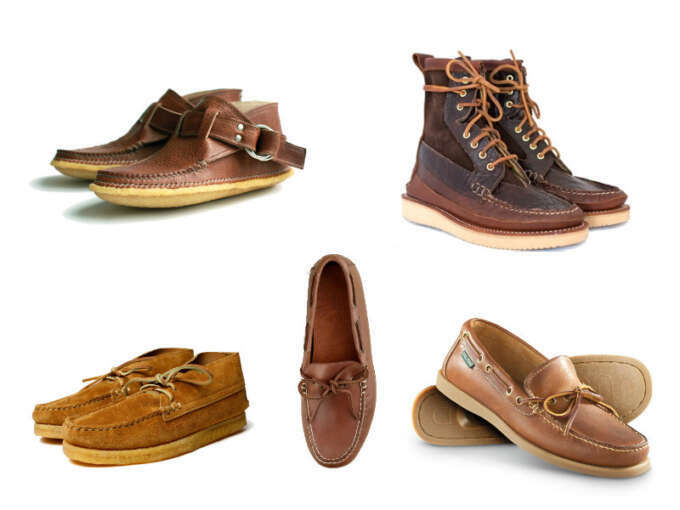 Clockwise from top left: the Quoddy ring boot a 1960s classic, the New England Outerwear company harvester boot, Eastland made in Maine boat shoe, JCREW canoe moc, Yuketan sports chukka. Their have also been several modernist takes on the moccasin, most successfully perhaps the 1960s Clark’s Wallabee which took the basic construction of the moccasin and fused it to a hefty crepe rubber soul, the Wallabee deserves its own post but I would note that the recent Goodhood collaboration is an excellent iteration that echoes the Native American roots of the shoe while working surprisingly well as street wear. The other notables are Japanese street wear giants VIVSIM and their FBT model which takes traditional moccasin characteristics including beading and skirting and pairs it with a modern sneaker style sole and England based Native Craftworks who have created a striking desert boot-moccasin hybrid. Top to bottom: Vivsim FBT, Clarks x Goodhood Wallabee, Native Craftworks Field Boot. Image from Monitaly SS11 lookbook.